Step 1: Fill your jars 1/3 of the way with rocks. 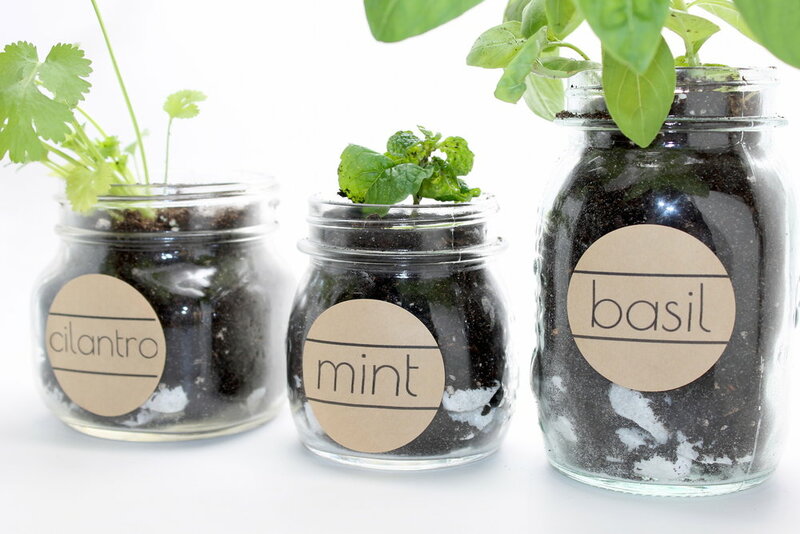 Step 2: Fill the rest of your jar with soil. Step 3: Plant your seeds or starter plant into the soil. Step 4: Stick labels on your jars.